You have done such a beautiful job capturing every single detail of our wedding day and we can't thank you enough, Hayley! Even before we got engaged we knew that we had to have you as our photographer one day - you truly exceeded all of our expectations. Your photography skills need no praise as your work speaks for itself and it's evident that you love what you do! It made our day (and wedding planning process) so much easier knowing that we could trust you and your talent! We are honored that we were able to have you play such an important role in our wedding! Wishing you a lifetime of success and happiness! Ohhhh myyyy gosh, I am in awe over our photos Hayley. I keep getting goosebumps looking at them over and over. I can't believe what an amazing job you did. Honestly, you are so talented. Thank you so much for capturing every moment. The photos look AMAZING! Thank you for all of your hard work. It is so nice to re-live the day by looking through your photos. 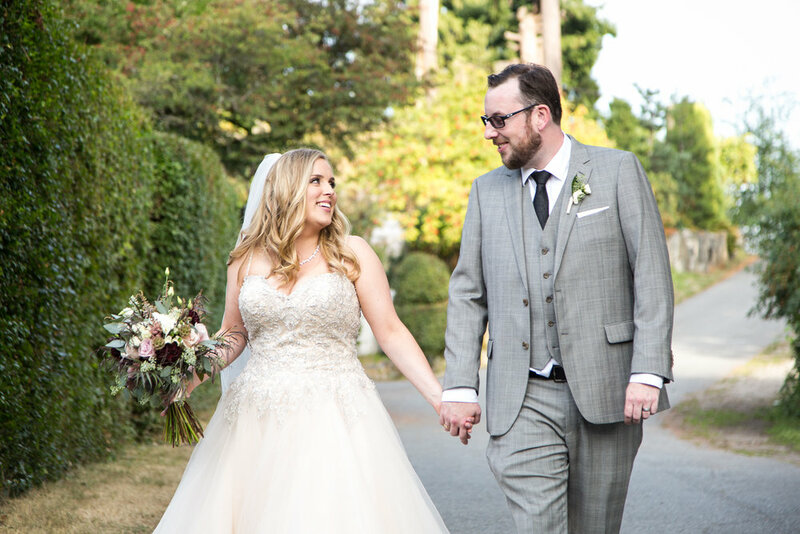 You did an amazing job and we are so thankful that you were able to capture our special day! Hayley was so great to work with. She did such an amazing job. She makes you feel so relaxed and comfortable while and being so organized and professional at the same time. It was a pleasure to have her at our wedding. Also, the pictures turned out great (and I am very picky)! I would (and already have) recommend her to anyone getting married! We couldn't be happier that we went with Hayley! She was professional, organized, and helped make our day fun too! Before the wedding she helped us to put together a timeline, and during the day she made sure to watch the clock to ensure that we didn't get behind. We are also thrilled with the photos, she took so many beautiful shots of the entire day which we can look back on and remember our wedding for years to come! They are STUNNING!!!! We are seriously so happy and thrilled with how all the photos turned out. I can't wait to share them with everyone. It was such an amazing day, thank you SO much for capturing it in the most beautiful way possible. We couldn't have picked a better photographer for our wedding day! Thank you Thank you Thank you!!!! Eeeekkk!!! Thank You sooo sooo sooo much Hayley! They are so perfect!!! Thank you for doing such an amazing job! You really captured how special our day was!! Thank You so much for all your hard work! Our photos turned out amazing!! We couldn’t be happier with them all! You made us feel so comfortable and it shows through in the pictures. Thank You again for capturing our special day!! Hayley! These are amazing!! I just had a look through them and they are so so SO perfect. Thank you so much for being there to capture our big day, it meant so much to me to have you there. You are one talented lady!!! Thank you again!! !